The progress of the implementation of the Minsk agreements depends on the success of the talks of the United States Special Representative Kurt Volker and Russian presidential aide Vladislav Surkov. This opinion was expressed by the MP from the Opposition Bloc Serhiy Lovochkin in an interview with Segodnya.ua. According to the politician, Volker’s mission is the great hope of Ukraine for the speedy achievement of peace. 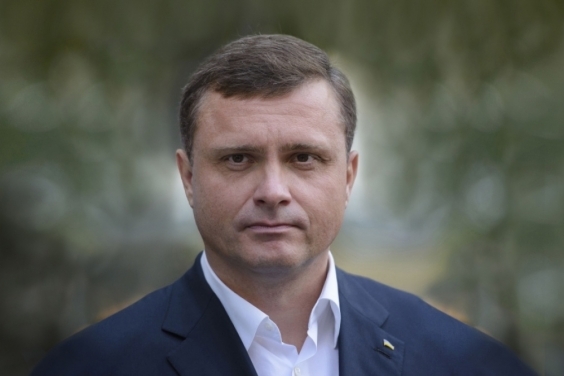 “The progress of the Minsk agreements, the creation of a new Road map for a peaceful settlement and its implementation depend on the success of his talks with Surkov. Volker understands very deeply the problems that Ukraine faces, and is very motivated to realize his mission,” the MP noted. According to Serhiy Lovochkin, during a meeting with Kurt Volker on January 24, along with Yuriy Boyko, they tried to “give as many ideas and details as possible that could help achieve the result”. “These were more fragments and additions to his plan - a possible Road map,” the oppositionist specified. The politician is sure that for today the main thing is not a detailed coverage of the negotiations, but real progress, a compromise. “We hope for an early peaceful settlement. Negotiations are very difficult, because the situation in Donbas is very complicated. But beyond doubt, the Volker-Surkov design is the most promising negotiating mechanism. And if they manage to quickly agree on a Road map for the implementation of the Minsk agreements, peace in Donbas can be achieved in a matter of months”, the parliamentarian stressed. According to Serhiy Lovochkin, it is important the Ukrainian government to desire to achieve peace, otherwise it will not have international support, progress and movement to meet. “The desire to find peace, mutual understanding and ways out of the conflict must be mutual; we need an effective interstate dialogue at the highest level. Ukraine should be friendly with neighbors, it is necessary to trade with neighbors, and create work places, earn taxes through this trade. Then Ukraine will be competitive and will show economic growth, not a fall, "the politician summed up.